Bangkok, Thailand – 31 July 2013. Participants representing tourism businesses across the Mekong Sub-Region learnt about current issues in child protection in tourism and discussed innovative strategies to keep local children safe from abuse and exploitation. Participants were challenged to critically examine factors that exist in the tourism environment that may enable abuse to occur, and to think about the role of the tourism sector in minimising risks of harm to children. Southeast Asia General Manager of Intrepid Travel, Carl Needham, was also a guest speaker at the event. He provided examples of how Intrepid Travel has integrated Child Safe Tourism practices into their operations, such as implementing child protection policies, supporting community enterprises and training staff. Educating “grassroot” tour leaders empowers them to take positive action and make reports if they see a child at risk. Tour leaders also pass this knowledge onto their customers. “People travel with us because of our responsible tourism policies”, said Mr Needham. There is a growing customer demand for responsible tourism and travellers are using their consumer power to support it. In a recent market research report by Project Childhood Prevention Pillar, which was shared with participants at the training, an overwhelming 94.8% of travellers surveyed said that a business’ policy to protect children would influence their purchasing decisions. After attending the training event, participants were better able to understand the links between tourism and child exploitation and had practical skills to take steps within their tourism businesses to address the factors that make children vulnerable to sexual abuse in the tourism context. 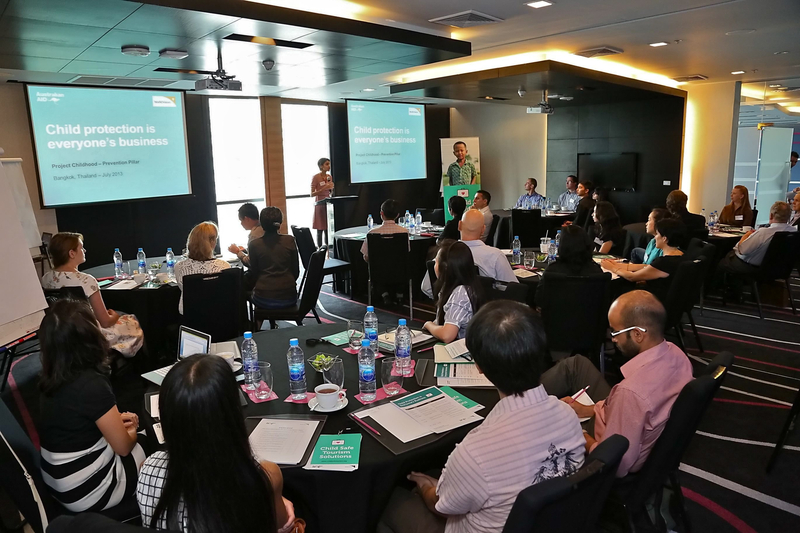 In partnership with National Tourism Organisations, Project Childhood Prevention Pillar conducts tourism sector training in Cambodia, Lao PDR, Thailand and Vietnam in respective national languages. For more information on training and other resources for responsible businesses, visit the Industry section on the Child Safe Tourism website.